Not long after Mercedes-Benz introduced the world to the swoopy and affordable CLA, we began hearing whispers of a more practical Shooting Brake version that would soon make its way to dealers. 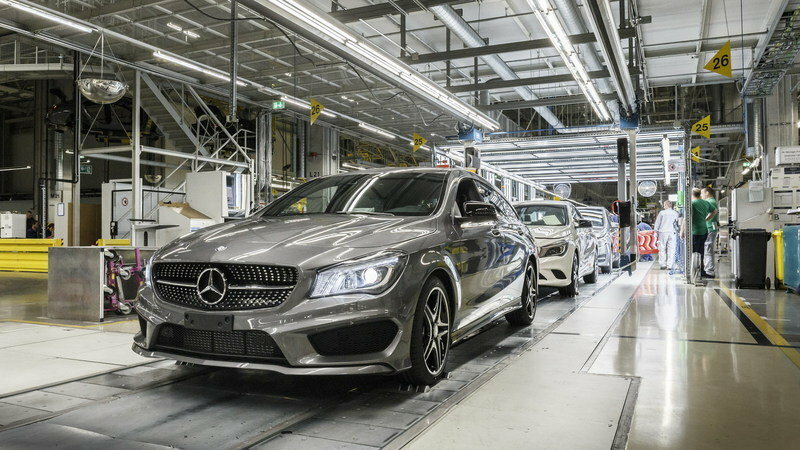 The First CLA began rolling off assembly lines in January of 2013, and now just two years later, Mercedes has officially announced that the Shooting Brake variant of the new CLA is in production at the same Kecskemét plant. With a full 27,000 units of the standard CLA sold in the U.S. last year, double from 2013, and record sales around the globe, Mercedes is poised for huge growth worldwide and they are hoping that the increased practicality of the Shooting Brake will help push those numbers. Sadly for those of us here in the States we still have no confirmation of the long-roof version will actually make it to our shores. If you live in Europe, Asia or one Mercedes’ other large markets you can start ordering your CLA Shooting Brake in one of six models ranging from the CLA 180 up to the AMG tuned CLA 45 AMG version. 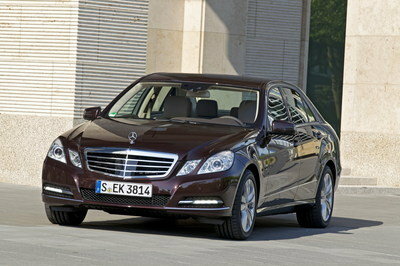 Retail price in Germany is €29,809.50 for the base 180 and go up to €57,268.75 for the AMG model. Click past the jump to read more about the Mercedes-Benz CLA Shooting Brake. Mercedes delivered more than 1.6 million cars last year. That is an increase of 13 percent and the fourth year of record sales in a row. To keep this momentum, Mercedes needs to keep all of its models fresh while simultaneously pushing into new markets. The CLA introduced a step into the world of affordable and stylish compact sedans that has been booming in the last few years. While sedans sell well in parts of the world like the United States, most of Europe still really loves their five-doors, so Mercedes needs to introduce an affordable machine in this more practical shape. The CLA Shooting Brake looks to accomplish that mission. With two years of sales under its belt, the CLA could also be looking a little stagnant to fashion-forward buyers, and the new five-door design will add a breath of fresh air without Mercedes needing to bother with a visual refresh. That will likely come in another two years. The Mercedes-Benz CLA Shooting Brake is a more practical five-door version of the CLA “four door coupe” that Mercedes introduced in 2013. It is available in a wide collection of models of varying prices and power levels. Four gasoline models and two diesel models spread the gamut from cheap and stylish commuter with the CLA 180 to the fast and amazing CLA 45 AMG. 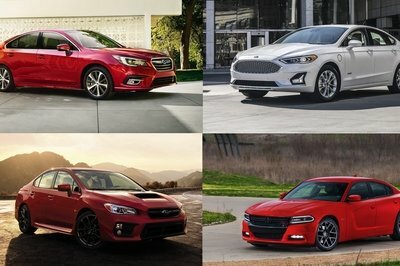 Sadly there are no current plans for U.S. sales. 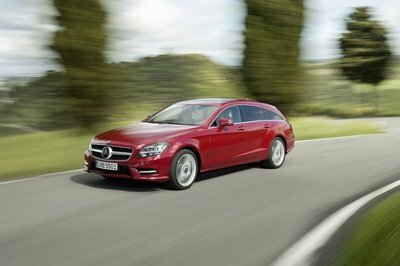 Less than three years after its opening, Mercedes-Benz’ youngest plant in Kecskemét, Hungary has passed another important milestone: With the official start of production of the Mercedes-Benz CLA Shooting Brake, the second model series to be exclusively produced in Kecskemét after the Mercedes-Benz CLA is rolling off the line. Plant manager Thomas Geier and his team welcomed Hungarian Prime Minister Viktor Orbán and Markus Schäfer, Member of the Divisional Board Mercedes-Benz Cars, Manufacturing and Supply Chain Management, to the celebration of the start of production. "The start of production of the new CLA Shooting Brake marks the fifth successful ramp-up for our new generation of compact cars in our global production network", said Schäfer. 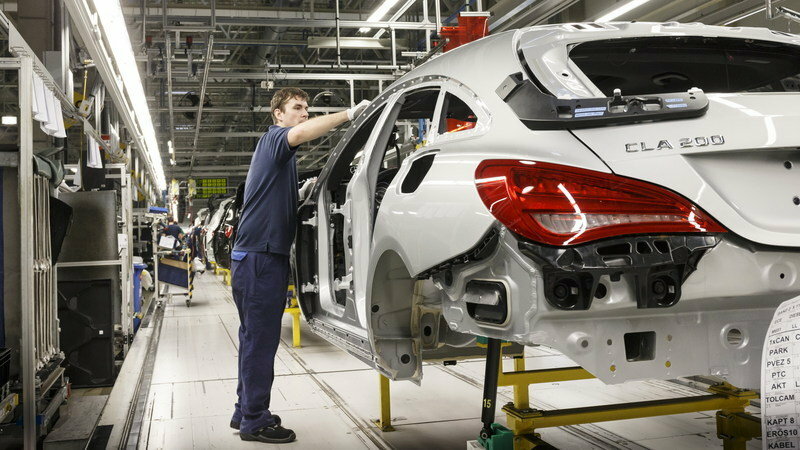 Around 150,000 B-Class and CLA-Class vehicles were produced in Kecskemét last year, and 300,000 units have rolled off the line at the plant since it started production in 2012. 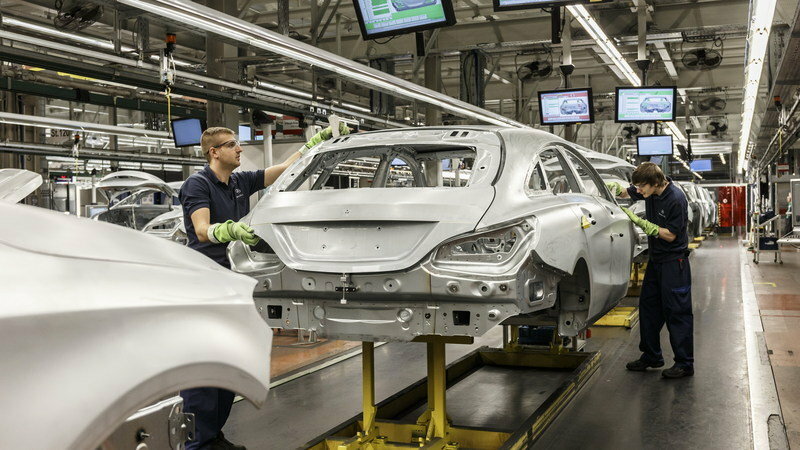 In this way, the Hungarian plant makes an important contribution to the growth of the particularly successful compact car segment within the global production network of Mercedes-Benz Cars. Unit sales rose by 24.7 percent to 463,152 A-Class, B-Class, CLA-Class and GL-Class vehicles sold in 2014. Mercedes-Benz has never delivered so many compact vehicles to its customers in a single year. The CLA, which is produced exclusively in Kecskemét, has been very successful in its single most important market, the USA, almost doubling unit sales to 27,000 vehicles in 2014. Overall, Mercedes-Benz sold more cars than ever before last year. 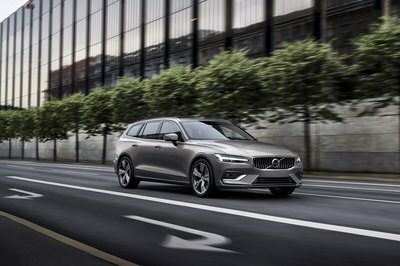 The brand with the star delivered 1,650,010 vehicles to customers (+12.9 percent), thus posting the fourth record year in a row. "The team in Kecskemét has proven that ’made by Mercedes-Benz in Kecskemét’ is a true success story. From the very start, we have been making top-quality cars in accordance with our global production standards", said Schäfer, who went on to thank all of the plant’s Hungarian partners on behalf of the company for their continuous and constructive partnership: "We would not have been able to write this success story in Kecskemét without the support of politics, the administrative authorities and society. We will continue to rely on this good cooperation." One example of this support is a low-interest export promotion loan totaling 90 million euros, which the company will use for financing of further investments in the Kecskemét plant in the future. Thomas Geier added: "Of course, the entire team of the plant is especially proud for the opportunity to produce the CLA and now the CLA Shooting Brake exclusively for customers around the world. We are aware of the responsibility that comes with it and will build on our achievements to date with consistent top performance." Investments in the Kecskemét plant to date total around a billion euros. After spending 800 million euros on the construction of the plant, the company has continued to develop the facility, last year above all in preparation for the production of the CLA Shooting Brake. This involved recruiting and intensively training many new employees, which brought the workforce to almost 4,000 people by the end of 2014. The premium compact cars of Mercedes-Benz are based on a common front-wheel drive architecture and are currently produced in a flexible production network of the Rastatt and Kecskemét plants. The B-Class was the first of the new generation of products whose production started at both plants (Rastatt: since September 2011, Kecskemét: since March 2012). The new A-Class has been made in Rastatt since July 2012. 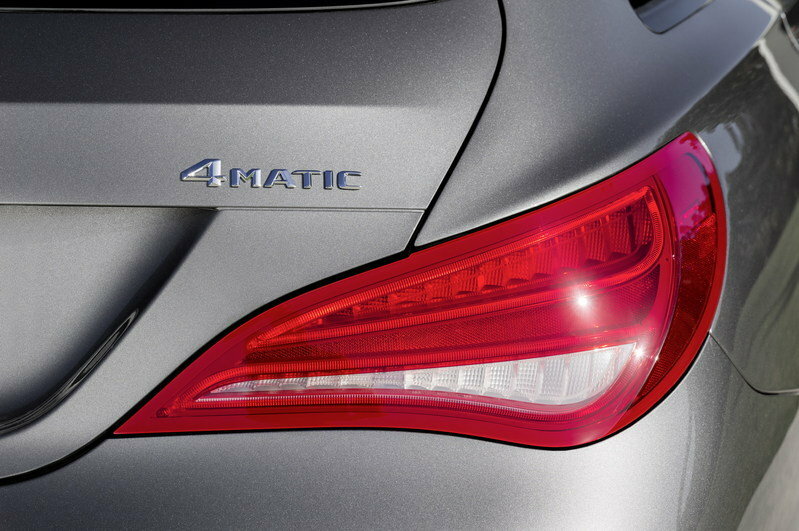 The second product from the Kecskemét plant has been the CLA which started to roll off the line in January 2013. Production of the GLA compact SUV started at Rastatt in December 2013. 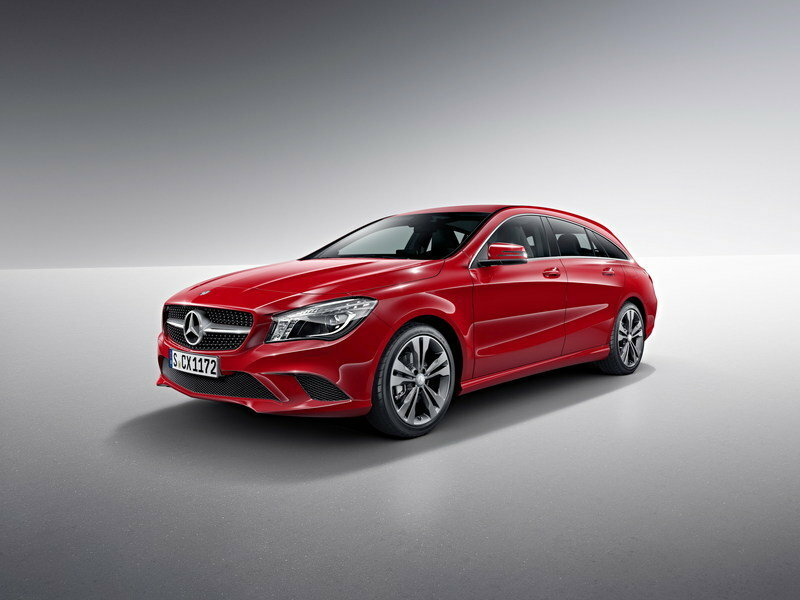 The fifth new compact model, the CLA Shooting Brake, has been produced at Kecskemét since January 2015. The Rastatt plant has been operating in three shifts since October 2012, the Kecskemét plant since May 2014. Thanks to the common architecture, all models can be produced in any order or volume at either location, which allows volumes to be distributed within the network depending on the current level of demand on the market. Since August 2013, additional capacity has been available for the production of the A-Class in the form of a contract manufacturing arrangement with Finnish production specialist Valmet Automotive. In addition, production of the GLA for the Chinese market will start in the first half of 2015 at the Beijing production location of BBAC (Beijing Benz Automotive Corporation – a joint venture between Daimler and its Chinese partner BAIC Motor). The new Mercedes-Benz CLA Shooting Brake ensures maximum leisure value and at the same time underscores the CLA’s high design standards. 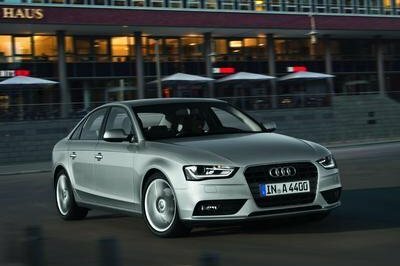 The roof contour also slopes down gently to the rear, yet at the same time more headroom is offered than in the four-door coupé. The CLA Shooting Brake is initially available with two diesel engines, four petrol engines and the all-wheel drive system 4MATIC and only costs around 600 euros more than the four-door coupé. The CLA Shooting Brake can be ordered since January 15, 2015, and the first cars will be arriving at European dealerships in March 2015. The entry-level model in the CLA Shooting Brake range is the CLA 180 (29,809.50 euros - all prices: recommended retail price in Germany, incl. 19% VAT) with 90 kW (122 hp). Above it are the CLA 200 (32,725 euros) with 115 kW (156 hp) and, each with 155 kW (211 hp), the CLA 250 (39,746 euros), the CLA 250 4MATIC (41,947.50 euros) and the CLA 250 Sport 4MATIC (45,577 euros) models. The desire for superior dynamism is met by the top model, the CLA 45 AMG Shooting Brake (57,268.75 euros), featuring an attractive technology package.